Los Angeles County planner Clement Lau has written a wonderfully detailed review of TAoUS for UrbDeZine, a site on urban planning, architecture and historic preservation. He writes: "This is one of the most visually stunning books I have come across; even some volumes on urban design are not as attractive as it is. 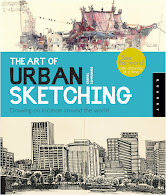 With sketches and observations from over 50 cities in more than 30 countries, the book offers unique perspectives on urban life from different cultures and artistic styles, as well as insights into various drawing mediums and techniques. 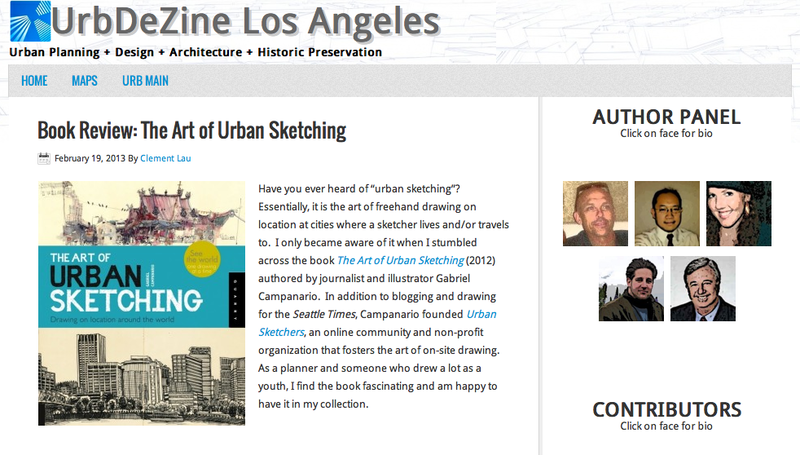 In addition, the book includes profiles of the urban sketchers and extended captions where these artists share their stories, sketching tips, and the tools used for each illustration."